These stuffed pesto and mozzarella peppers make for a fantastic dinner party starter! Place 2 TBSP of extra virgin olive oil to the side. Add all other ingredients to the food processor or high rpm blender. 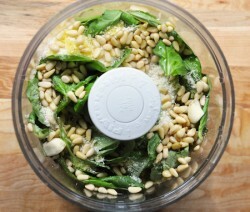 Process the ingredients on low and continue to high as you slowly add the remaining amount of olive oil. Stop to scrape down the sides. 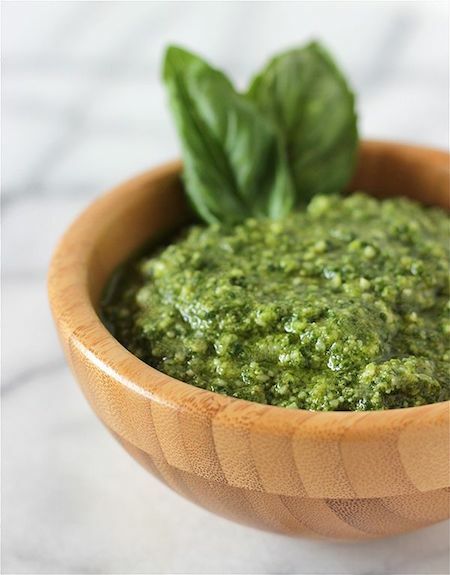 Process for a few minutes until the ingredients create a creamy and smooth pesto. Fresh Basil Pesto will last 5-7 days in the refrigerator, or freeze up to 4 months. 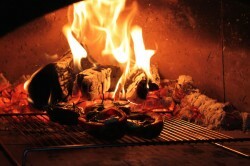 Start by firing up your wood fired oven to it’s optimum temperature and allow the oven to cool down to a roasting environment. Maintain the temperature at 200 degrees C. For more information, please refer to our Cooking Techniques Guide. Once you have prepared the pesto, cut the mozzarella cheese to a size of your choice to fill the peppers with and brushed the peppers inside and out with olive oil – get stuffing!! 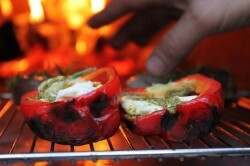 Place the stuffed peppers onto a grill rack and place in the oven and roast for 12 – to 15 minutes or until tender and charred in places. Now, get stuffing yourselves with the deliciousness! 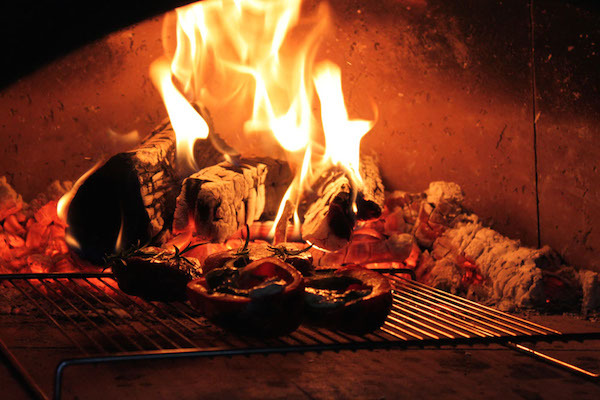 For all the latest Stone Bake news & updates be sure to follow us on Facebook, Twitter, Instagram and Pinterest!